Cindy lives on Canada’s beautiful rain forest “Vancouver Island”. She has been enjoying the rough outdoors since she was young girl hunting with her father. Her love for the great outdoors continues to this day. 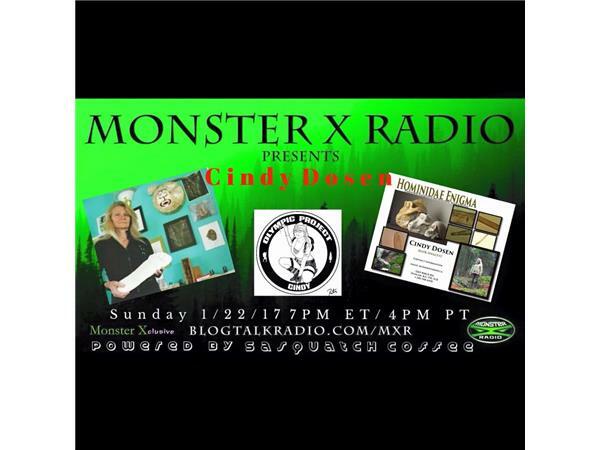 Cindy has been studying field research of Sasquatch Sightings and behavior since 2007. Her personal encounter with a Sasquatch was featured on the History Channel's 'Bigfoot the Definitive Guide' as well as National Geographic's 'Paranormal'. Cindy recently started “Hominidae Enigma Microscopic Hair Analysis“ to study Sasquatch/Unknown hair samples from areas associated with Sasquatch sightings. She has become the "go to" researcher within the Bigfoot community for unknown hair analysis has received and analyzed numerous samples, including samples taken from the nesting area currently being investigated by the Olympic Project.She holds a diploma in Animal Sciences, and studied chemistry and biology. She also has trained horses as well as Rhodesian Ridgeback dogs.